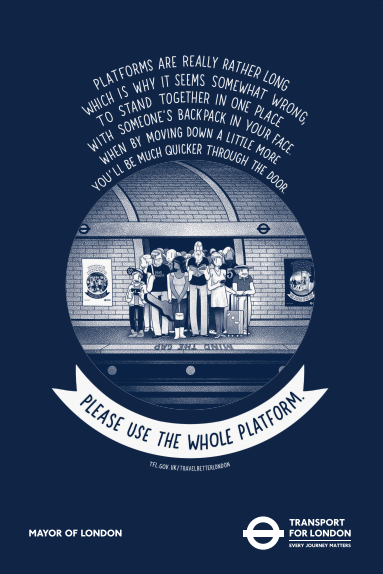 Transport for London are appealing to the public in posters and poetry this week asking you to think about your travel habits. 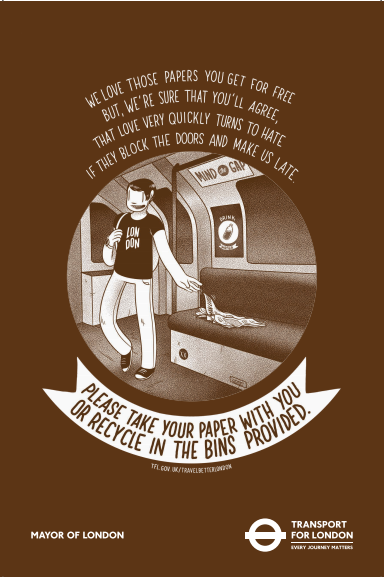 Items of tube etiquette featured prominently in our Top 10 London Annoyances and this campaign is trying to raise awareness of how a lack of consideration can cause delays on the network. Things like not pushing onto a train at the last minute through closing doors and taking your free paper with you, rather than leaving it on a station to blow on to the track can help keep the network running to time. 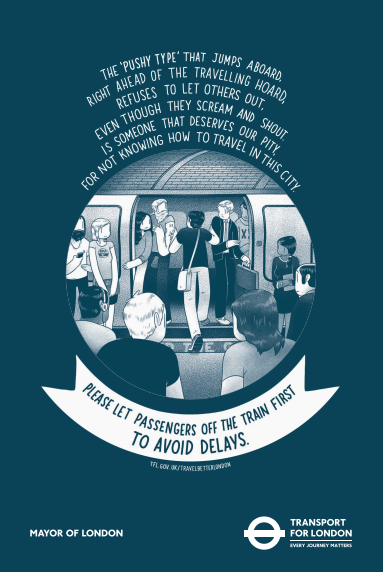 New graphic art posters by McBess containing cute considerate ditties will appear at stations and to add some excitement to your journey, poets will be performing in place of musical buskers on tube topical themes. Angel, Canary Wharf, Embankment, Knightsbridge, Hammersmith, Leicester Square, Liverpool Street, London Bridge and Waterloo will all have a poet in residence at lunch time and home time. In addition, there will be surprise pop-up performances all over the transport network and if this and National Poetry Day on Thursday inspire you to verse, then enter the Travel Better Tips competition. Follow the Travel Better London Tumblr for more. For goodness sake move down the platform tonight*. *we won't be winning that competition.